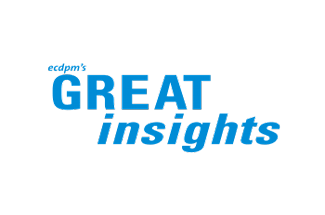 ECDPMGreat Insights magazineWhy are sustainable food systems paramount to the World Health Organization’s nutrition mission? Branca, F., Phelps, H., Mahy, L. Why are sustainable food systems paramount to the World Health Organization’s nutrition mission? GREAT Insights Magazine - Volume 6, Issue 4. September/October 2017. For the first time, the WHO recognizes sustainable food systems as paramount to population health with its “Ambition and Action in Nutrition 2016-2025”. 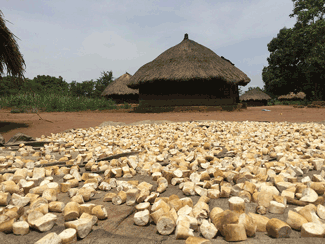 The United Nations General Assembly recognized the importance of sustainable food systems in 2015 in the 2030 Agenda for Sustainable Development by adopting SDG target 2.4, which strives “to ensure sustainable food production systems by implementing resilient agricultural practices, which help maintain ecosystems and strengthen capacity.” Thus, the UN General Assembly and all its Member States recognize the need for sustainable food systems. However, the SDGs lack policy options to lead country action, requiring a comprehensive and concrete plan for action in order to successfully reach the 2030 goal for sustainable food production systems. 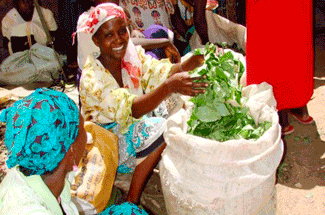 The Framework for Action (FfA), one of the two outcome documents of the 2014 Second International Conference on Nutrition (ICN2), provides a menu of policy options to lead country action and successfully reach the SDGs. The ICN2 brought together representatives from more than 170 governments, 150 representatives from civil society and nearly 100 from the business community, providing a space for participants to commit to action in addressing malnutrition in all its forms. 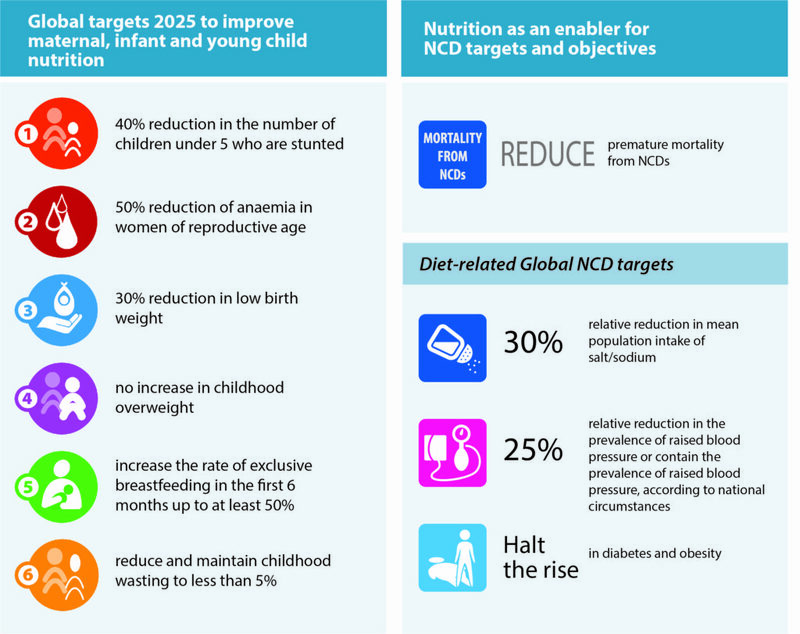 The two main outcome documents of the ICN2 – the Rome Declaration on Nutrition and the FfA – were negotiated and adopted by participating governments at the conference, committing world leaders to establish national policies for reaching the agreed six global nutrition targets and three diet-related noncommunicable disease (NCD) targets (see figure 1). These frameworks should not remain words but need an impetus for action with a catalyzing timeframe to drive country implementation of the FfA. UN Member States proclaimed in April 2016 the UN Decade of Action on Nutrition 2016-2025, which calls upon FAO and WHO to lead implementation of the Nutrition Decade and reach its aim to accelerate implementation of the ICN2 commitments, achieve the global nutrition and diet-related NCD targets by 2025, and contribute to the realization of the SDGs by 2030. Importantly, the Nutrition Decade serves as an umbrella space for nutrition-related work along six crosscutting integrative areas for impact on sustainable food systems. 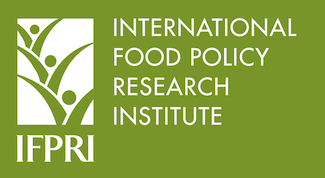 Based on the ICN2 FfA recommendations, the six areas of the Nutrition Decade include the following three relevant to sustainable food systems: 1) Sustainable resilient food systems for healthy diets ; 2) Social protection and nutrition education and ; 3) Safe and supportive environments for nutrition at all ages . Consequently, the UN Decade of Action on Nutrition catalyzes change and provides a robust platform for Member State action to attain SDG2 and ensure sustainable food systems. The spreading scourge of both undernutrition and overweight and obesity in high, middle and low income countries has resulted in a double burden of malnutrition. While the world is fighting stunting in 155 million children less than 5 years old and wasting in 52 million, more than 42 million children and 640 million adults are either overweight or obese. These polar extremes have created an explosion of diet-related NCDs, limiting the physical and cognitive development of populations and placing an undue burden on healthcare systems. The double burden can only be solved by a multisectoral nutrition response, which introduces nutrient-rich, holistic and culturally appropriate foods into the diets of everyone, but especially of at-risk populations. Unfortunately, current food systems are unsustainable and do not provide the foods we desperately need, increasing production and consumption of highly processed foods and jeopardizing planetary and population health. Climate change, dwindling biodiversity and a host of other threats currently undermine planetary health. In particular, overfishing, antibiotic overuse, monoculture, overproduction of cash crops and other agricultural and aquaculture practices have resulted in dwindling fish stocks, increasingly resilient bacterial populations, nutrient loss and more. Additionally, greenhouse gas emissions from meat production surpass nearly all other industries, making industrial meat production harmful to planetary health. Unsustainable food systems endanger our planet and, in turn, the health of the global population, requiring a sustainable approach to solve the threats against people and the planet. Thus, sustainable food systems are paramount in the fight to ensure planetary health and end malnutrition in all its forms. 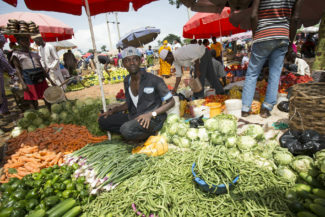 Tilman and Clark (2014) prove this connection between sustainability and population health in their study, “Global diets link environmental sustainability and human health.” Essentially, creating sustainable agricultural and aquaculture practices will simultaneously secure stocks of nutrient-rich foods to fight the double burden of malnutrition and mitigate the harmful climate impacts that current agricultural practices have on planetary health. Sustainable food systems, therefore, create a “win-win” situation by securing population and planetary health (Box 1). Neglecting to create sustainable food systems will contribute to an 80% increase in global agricultural greenhouse gas emissions by 2050, Tilman and Clark predict, requiring immediate action. Healthy global diets could reduce greenhouse gases from food 29-70% and have economic benefits of up to $31 trillion by 2050 (Springmann et al, 2016). Fortunately, many countries are starting to use the UN Decade of Action on Nutrition to take action and ensure sustainable food systems (Box 2). WHO calls upon other Member States to follow the champion countries’ lead to establish relevant action networks and make SMART commitments under the UN Decade of Action on Nutrition for a sustainable, healthy future. Norway has launched the Global Action Network on Sustainable Food from the Ocean for Food Security and Nutrition, becoming the first country to establish an action network as part of the United Nations Decade of Action on Nutrition 2016-2025. Norway’s action network calls for higher priority to be given to fisheries and aquaculture in efforts to improve global food security. WHO is expected to co-lead the UN Decade of Action on Nutrition, as per General Assembly of the United Nations resolution UNGA A/RES/70/259. 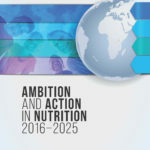 Consequently, the WHO has developed a comprehensive nutrition strategic framework, “WHO Ambition and Action in Nutrition 2016-2025,” which for the first time provides a cohesive WHO nutrition theory of change, bringing together the SDGs, ICN2 and Decade of Action on Nutrition. WHO’s Ambition and Action in Nutrition responds to the renewed momentum for improving nutrition and acknowledges the need for multisectoral collaboration outside the health sector to combat the spread of malnutrition in all its forms. For the first time ever, this innovative strategic document commits WHO, a health agency, to work with countries to ensure health through access to sustainable, healthy diets. Our dedication to universal access of “healthy AND sustainable diets” recognizes the central and fundamental role of healthy diets at all stages of life, as well as the importance of sustainable environments and food systems in achieving the nutrition targets as recognized by the ICN2. This is a revolutionary approach to nutrition that the WHO hopes will reverberate through other health organizations. WHO’s core goal for sustainable food systems, as outlined by the Ambition and Action in Nutrition: “Define healthy sustainable diets and guide the identification and use of effective nutrition interventions.” With this goal, WHO is responsible for defining healthy sustainable diets that not only ensure the prevention of all forms of malnutrition and diet-related NCDs throughout the life course, but also are compatible with planetary health. This audacious goal requires developing national policies that incorporate both international and local contexts in order to ensure effective interventions that do not unintentionally harm local populations and cultures. Additionally, as global guidelines for sustainable diets are not yet defined, WHO will be challenged to clearly articulate and measure their goals in a fairly new field in nutrition. Along these lines, the WHO will: 1) Improve efficiency and transparency of the guideline development process; 2) Maintain and expand the guidance development groups; 3) Strengthen and expand guideline dissemination processes; 4) Update integrated guidance (effective means to achieve global nutrition targets); 5) Strengthen the process of monitoring adoption and evaluating impact of guideline adoption and implementation; 6) Develop tools to facilitate policy implementation and; 7) Keep the three levels of the Organization up to date with new and revised guidance. These actions can and will be delivered through a multisectoral approach, which is stated clearly in the ICN2 outcome documents: including sectors outside of health, especially agriculture, is paramount for ensuring a world free from all forms of malnutrition where all people achieve health and well-being. WHO has a role as a leader and catalyst for multisectoral action to ensure the development and proliferation of sustainable food systems. Through WHO’s Ambition and Action in Nutrition, our agency is fit for purpose. 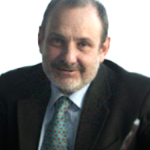 Dr. Francesco Branca is Director of the Department of Nutrition for Health and Development (NHD) in WHO, Geneva. Harrison Phelps is Intern and Lina Mahy is Technical Officer in the Office of the Director, NHD, WHO. 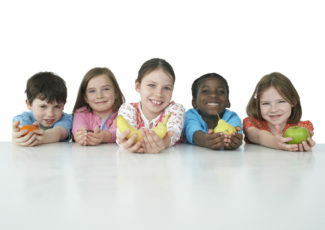 Photo: Children with fruit. Credit: WHO.